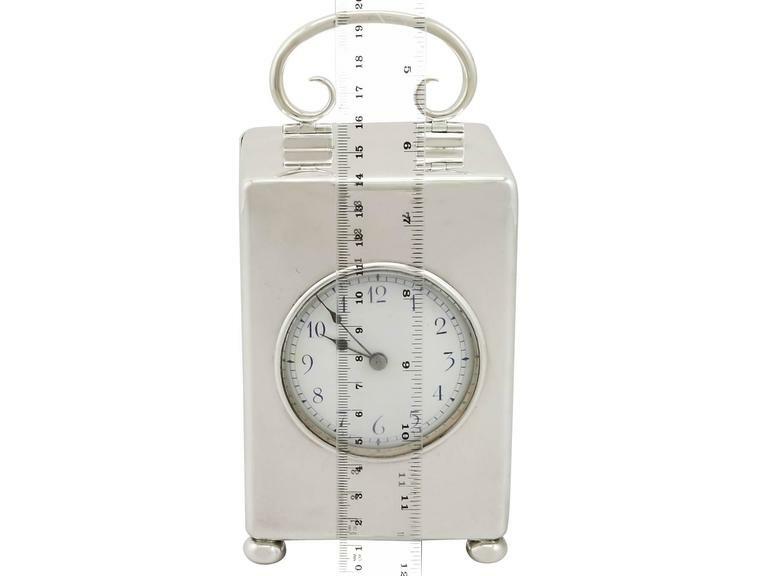 A magnificent, fine and impressive, large antique Edwardian English sterling silver carriage clock; an addition to our silver timepiece collection. 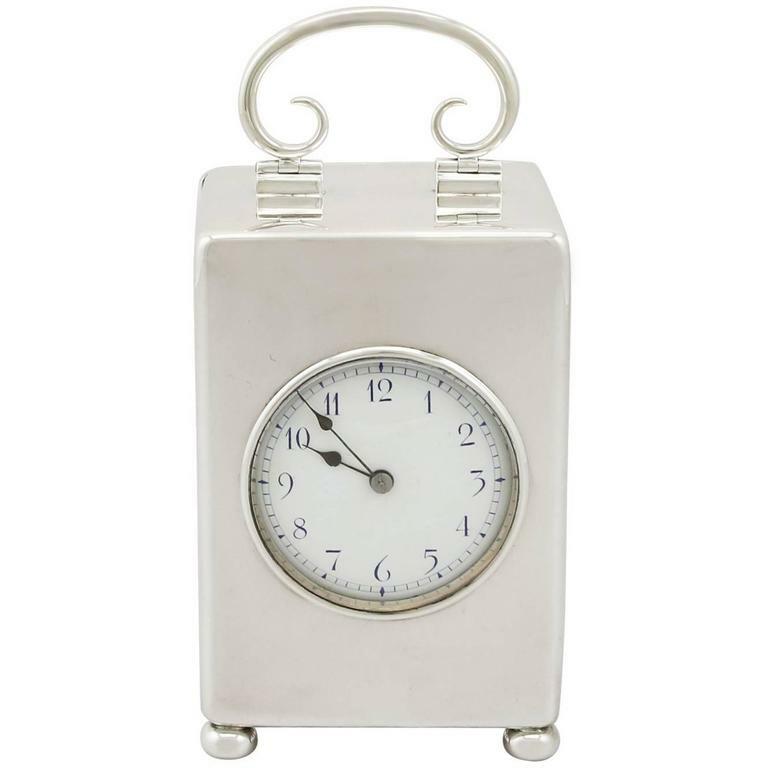 This magnificent antique Edwardian sterling silver carriage clock has a plain rectangular form onto four bun feet. The surface of this large and impressive Edwardian clock is plain and unembellished. 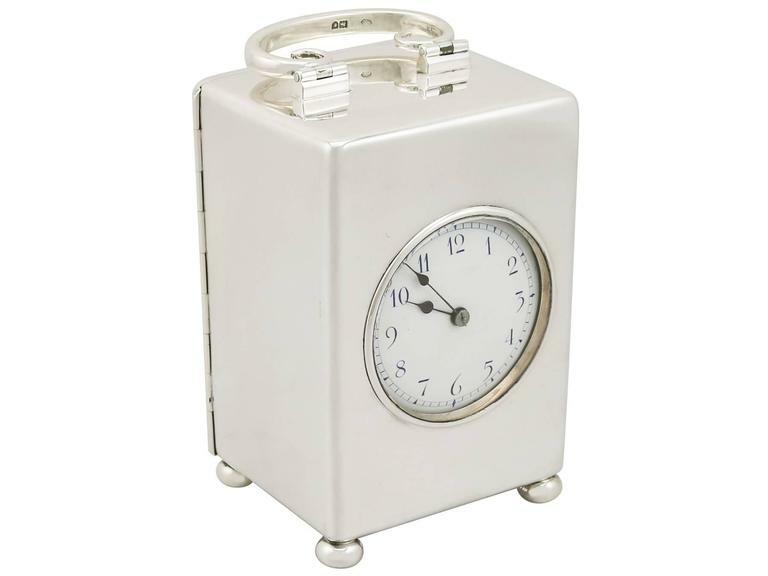 This impressive antique silver carriage clock retains the original hinged hallmarked scrolling swing carrying handle. The white enamel dial is ornamented with black hour Roman numerals, encircled with plain black chapter ring of minute markers. 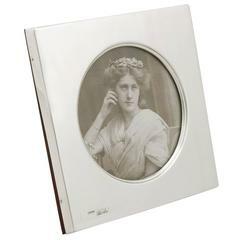 The face of this timepiece is visible through a circular glass 'window' with a plain applied silver border. 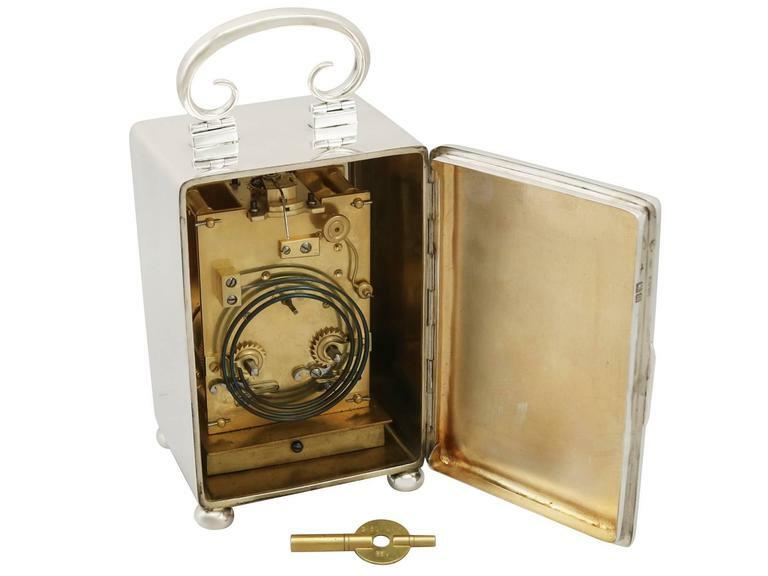 The hallmarked hinged door opens to reveal the original French eight-day movement with winding key. This striking clock (also known as a chiming clock) movement creates an audible sound cumulatively upon every hour and once every half hour. The door has a rounded thumb piece to facilitate opening. 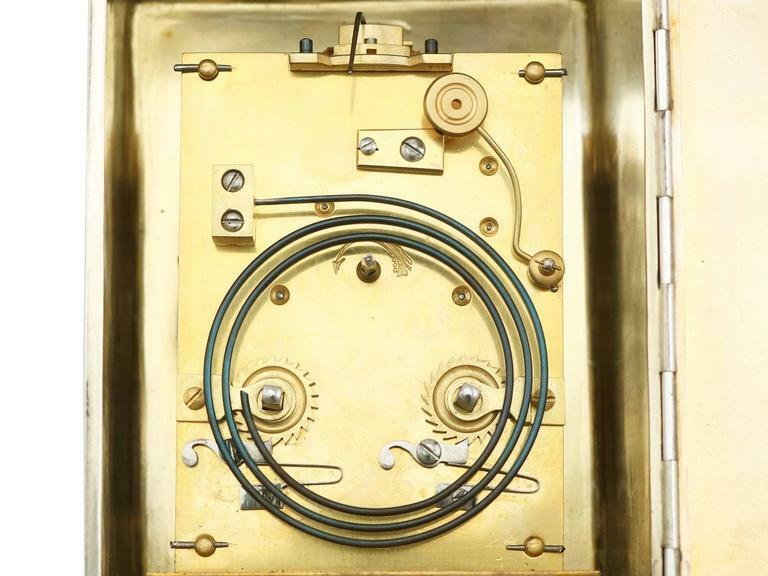 The interior of this impressive example timepiece retains the original gilding. 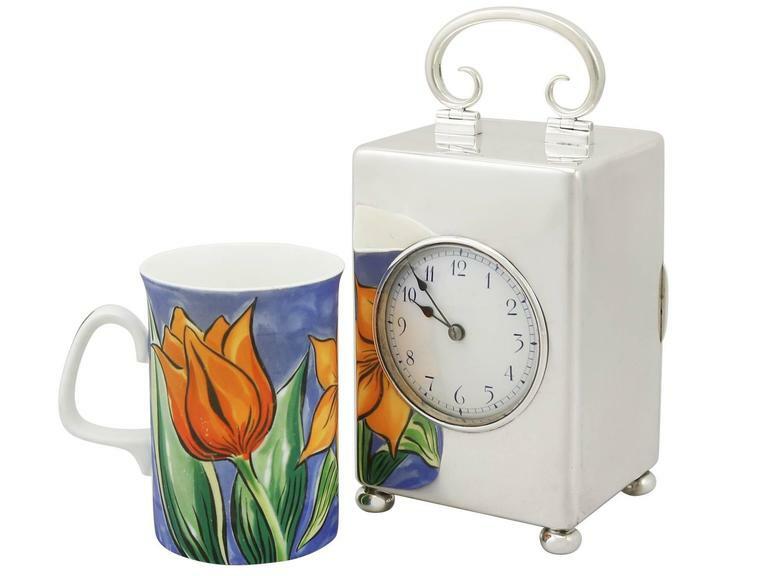 Timepieces of this style are often boudoir clocks; larger examples such as this are scarce to the market. Dimensions: Height to top of handle 19.7cm/7.8" Width 9.5cm/3.7" Depth 8.5cm/3.3" Maker: William Comyns & Sons Date: 1907 Origin: London, England Video: A video of this Fine piece is available upon request. 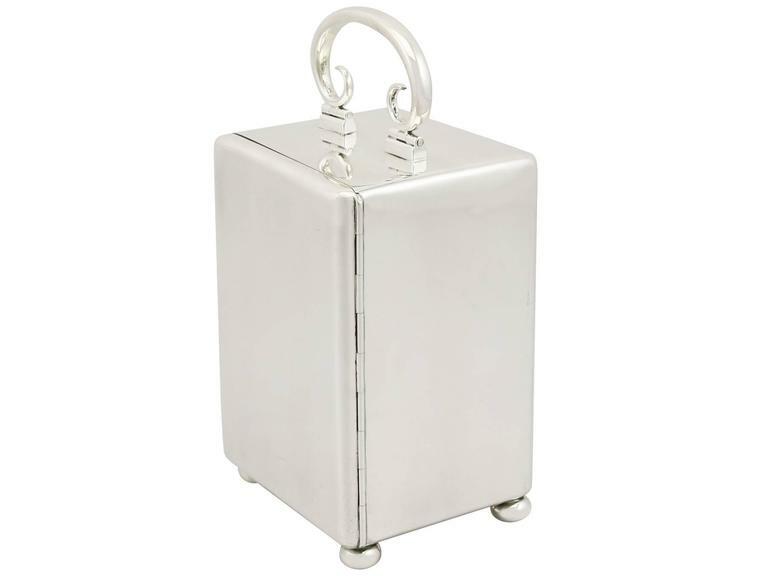 Reflections in photography may detract from the true representation of this piece of antique silverware. . 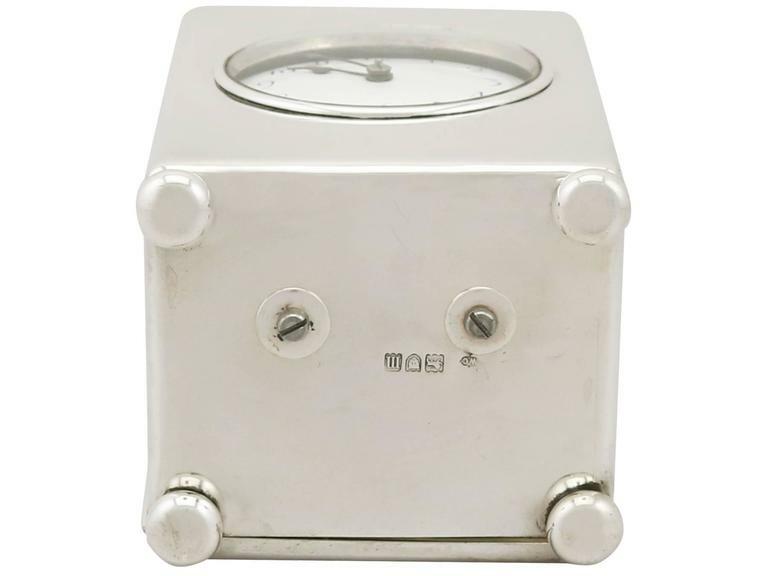 This antique silver carriage clock is a superior gauge of silver, exceptional quality and condition. 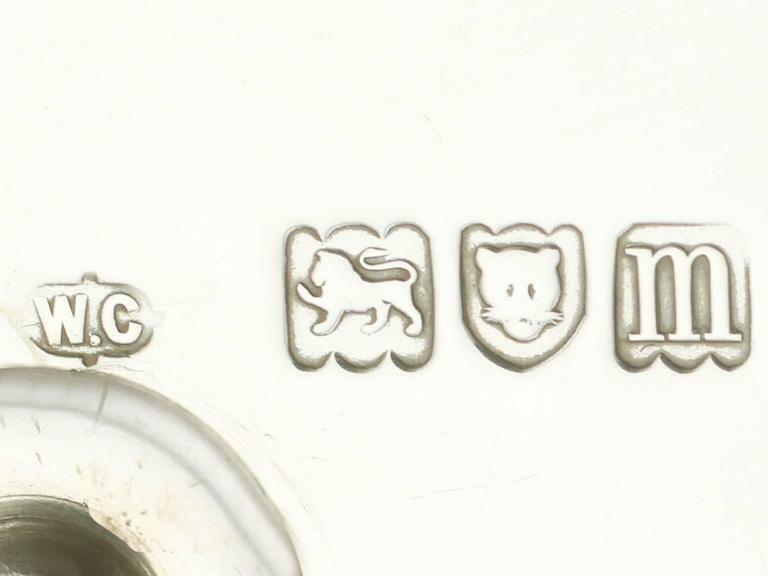 Full hallmarks struck to the underside of the clock, in addition to the part hallmarks to the rim are all very clear. Table clock shaped empire style "Fabergé" silver 925/1000 golden with translucent enamel on guilloche, Swiss "Hebdomas" mechanical movement 8 days.